If you have a YouTube channel that didn’t achieve the target what you want to achieve, there may be some things that you didn’t look at it. Every day millions of videos are uploaded on YouTube, and very few among them get viral and reach their target audience. This is because despite the quality of content you are producing at if you will not rightly promote it all of your efforts could get in vain. 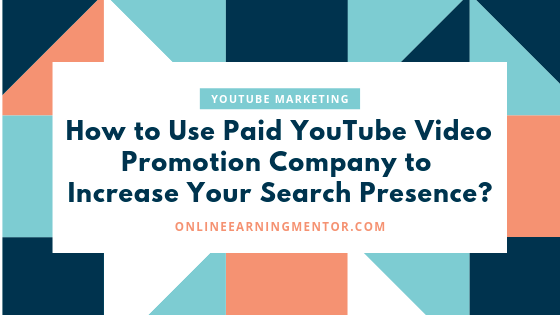 If within 24 to 48 hours it has received a few hundred views, there is a great chance that your video will get viral and may reach to thousands of people across the world. This is where most of the people prefer to use scammy and spammy platforms to buy views and subscribers. Suddenly they start realizing that such people are using bots and their views and subscribers get dropped. On the other hand side, there is some legit practices and platforms that people are using to boost up their rankings and reach on YouTube. One of such platform that I recently noticed is Vidorange, and its website is Vidorange.com. VidOrange is a YouTube video promotion platform which is designed for people who are looking for real organic views on YouTube. It is a platform which only uses legit methods and helps you to reach your goals without any fear of YouTube policies. Unlike many other so-called services, it doesn’t provide bot or fake views. Once you start running your campaign with the Vidorange not only you will start seeing views on your videos but also get organic shares and likes. Just go to their website and create your account for free. After that, there are a few steps you need to undertake to start your journey here. Add your video URL as shown in the image below. This lets them know which video you want to get more views, shares, and likes. I have just randomly posted a link there. Once you move there, here the system will show the Campaign Title, Campaign URL and Views automatically. 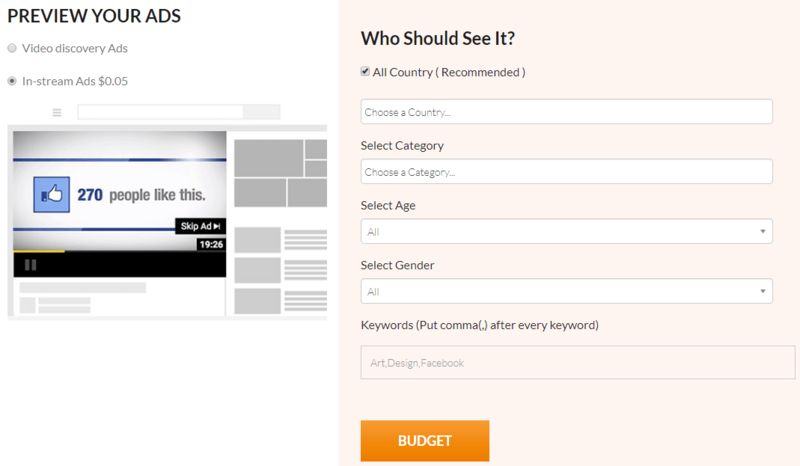 From the left side of your screen, you can select a target country, category, age, gender, and keywords. This is the last step, and you can decide your budget, schedule, and delivery speed and payment method. 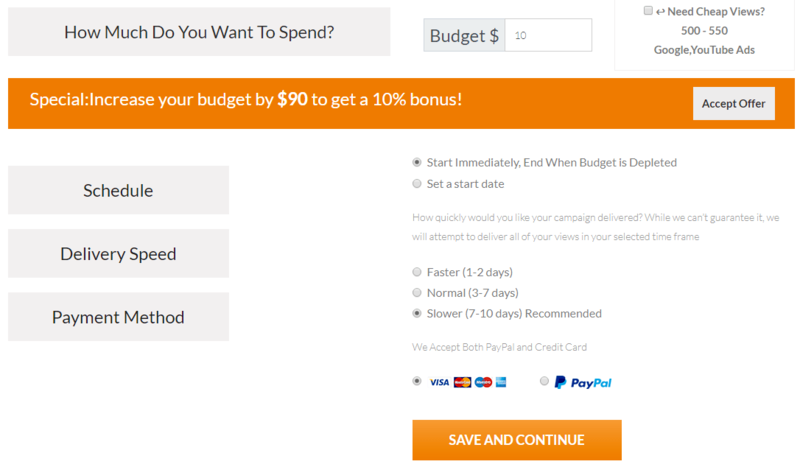 You can also select cheap views option to get more views in the selected budget. Once you make the payment that’s all from your side. Their experts will work on the information you have provided to them and also provide real-time screenshots and analytics so that you can see how your campaign is performing. Their experts assure that they use a safe delivery method which is YouTube compliant so that you never have to bother about losing the views or having your videos taken a day. In short, if your YouTube channel has gone nowhere and you wanted to reach it to the next level you have to choose a wise path. Here many people fall in the hands of scammers and those who find the right experts will see massive results over the years. One of such right experts is working in VidOrange Company, and I have seen people are getting results from their services. So this is the right time to check their service and see what will happen to your business.